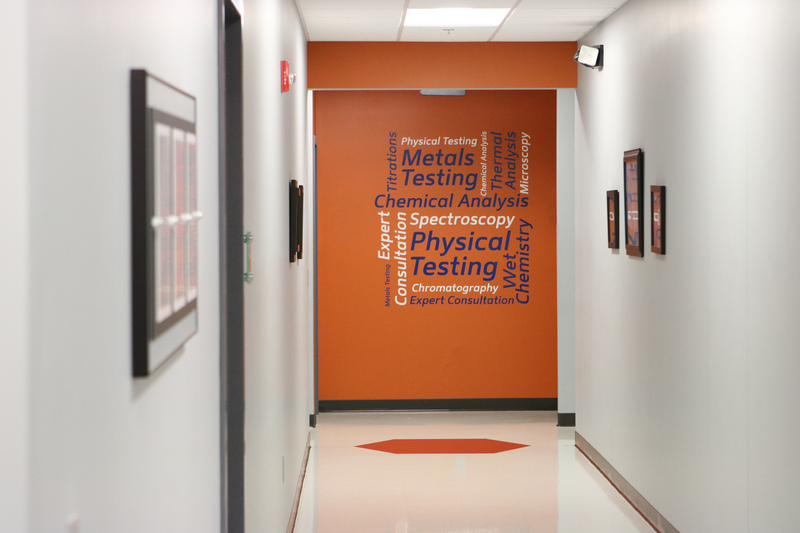 If you’ve ever been to SGS Polymer Solutions, you may have noticed a bright orange wall decorated with word art. Ever wonder why we selected those particular phrases? Those ten phrases are the ten core testings & analyses performed at SGS PSI. Let’s explore each one in a little more detail. Physical testing methods are exactly what their name implies: testing the physical characteristics of a material. Physical testing is used for dimensional analysis, determining density, or measuring strength under a tensile load. We have tested many products using physical testing methods over the last 25 years, including bullets, grocery bags, and sporting goods. In order to understand how a metal product will perform, its chemical composition and microstructure must be understood & tested. So how do we do that? Metals testing! We have the capability to test the chemical and physical characteristics of many different types of metal products, which can help companies determine whether a product will be suitable for its service environment. Spectroscopy tests are incredibly useful because of the breadth of their results. Spectroscopy tests include: what chemical compounds and elements are present in a sample, whether certain types of degradation have occurred in a sample, and the amount and type of crystallinity present in the sample. Spectroscopic analysis can involve radio, microwave, infrared, visible, ultraviolet, x-ray, or even gamma radiation light, and each of these is suited for identifying different properties of the sample being studied. Believe it or not, we have been providing chemical analysis services to our clients, across the globe, for over 26 years! Chemical analysis techniques are used to determine what substances are contained in a object. Some of the products we’ve tested include cosmetics, medical products, packaging materials, and children’s toys, just to name a few. When there are issues with raw materials, or undesirable product characteristics begin to appear, we will usually turn to thermal analysis methods. Thermal analysis tests raw materials to make sure they will behave properly when exposed to extreme pressure and temperature. Microscopy methods help us understand and characterize the structural features of products on micro and nano scales. We usually use these methods to test nanomaterials, textiles, films, coatings, and molded parts. If further testing is needed on components of a sample, this is where wet chemistry comes in! Wet chemistry is often a necessary part of a testing program to dissolve, filter, extract, and isolate these components without compromising them. Products we have tested using wet chemistry include pharmaceuticals, medical devices, and bioabsorbable polymers, just to name a few. Chromatography encompasses a broad range of laboratory testing methods used for separation and identification of complex mixtures, often with amazing specificity, sensitivity, and precision. The products we’ve analyzed using chromatography range from medical devices to industrial products to aerospace & defense. A titration is used to determine the concentration of a unknown solution. In order to do this, a solution of known concentration is combined with the unknown solution until a reaction takes place. Testing requirements can be complicated, no matter the industry. Fortunately, our materials experts have decades of experience across multiple scientific fields to guide you through. Our scientists relish a challenge and use their wealth of knowledge and our state-of-the-art testing laboratory and analytical equipment to tackle any of our clients’ consultative needs. 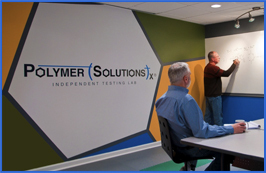 All these words–therefore all those testing capabilities–come together to provide a cohesive and comprehensive approach to our client’s materials science challenges. Let us partner with you to solve the material challenges that you’re facing. Contact us today! Previous Post: Everyday Science: Why is Rubbing Alcohol Cold?